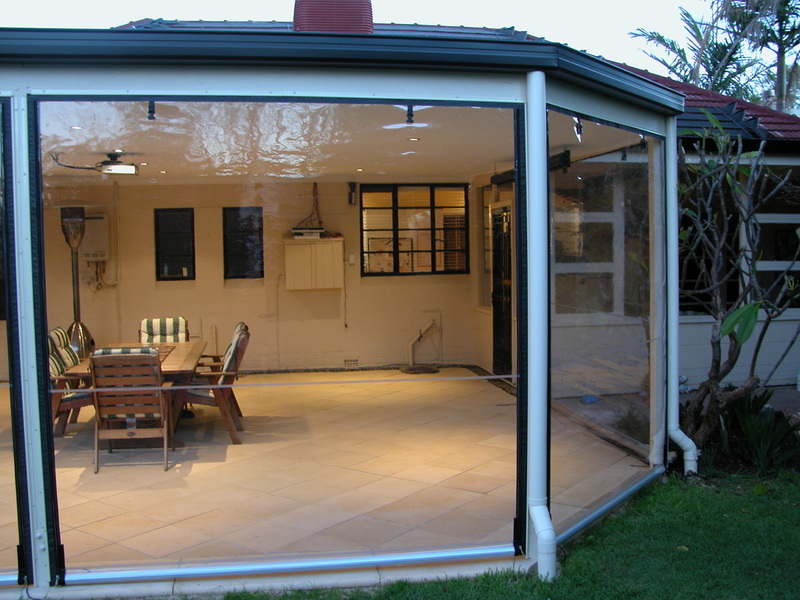 Café Style blinds—turn your outdoor area into an all weather room—ideal for domestic or commercial installations. 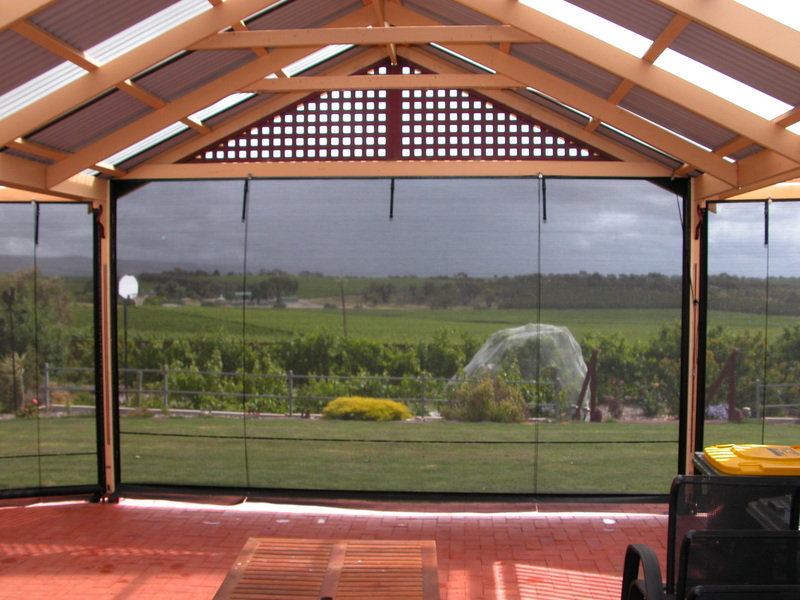 Café blinds provide protection from the elements and provide a modern way of turning your pergola or entertaining area into a year round, all weather outdoor room. These blinds are custom made and attach at the top and sides via sail tracking that can be powder coated to match your structure. 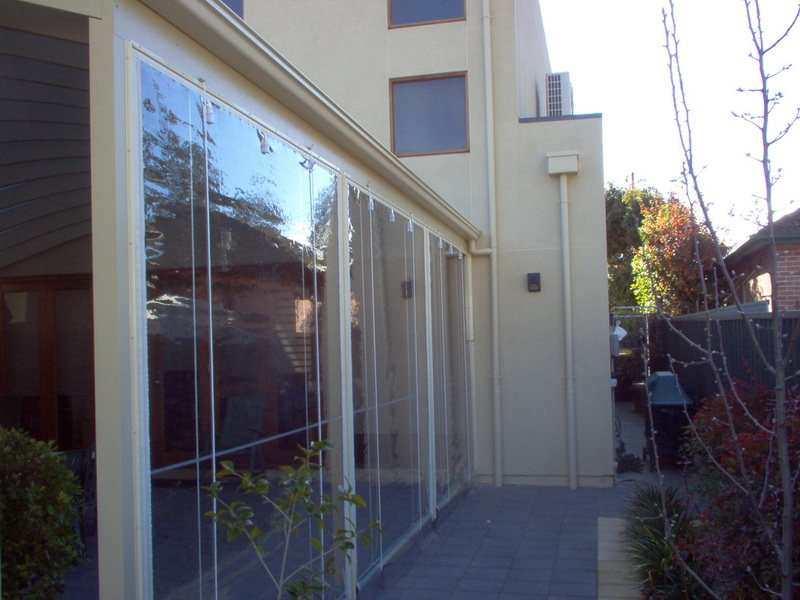 The blinds can be rolled up by unzipping and rolling them either manually or with a pulley system. 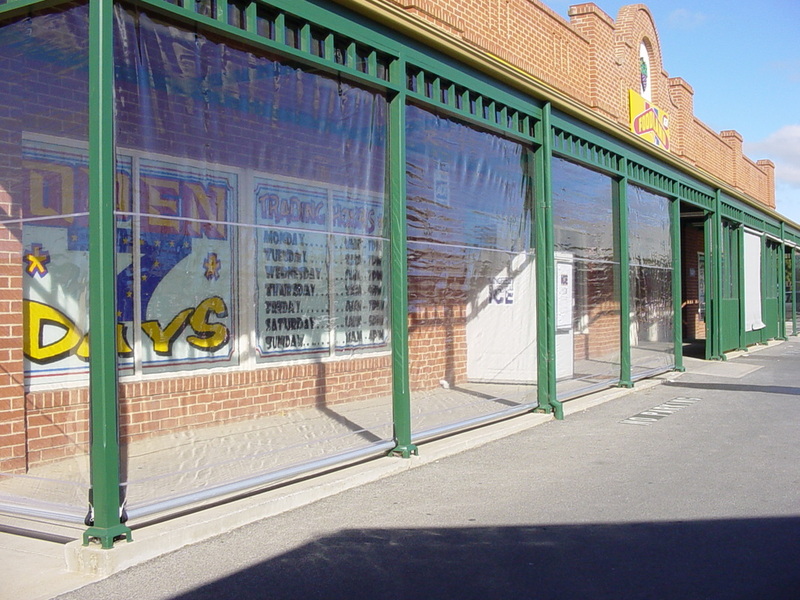 Doorways, valances, pitched roofs and other custom solutions can all be tailored to each individual job. 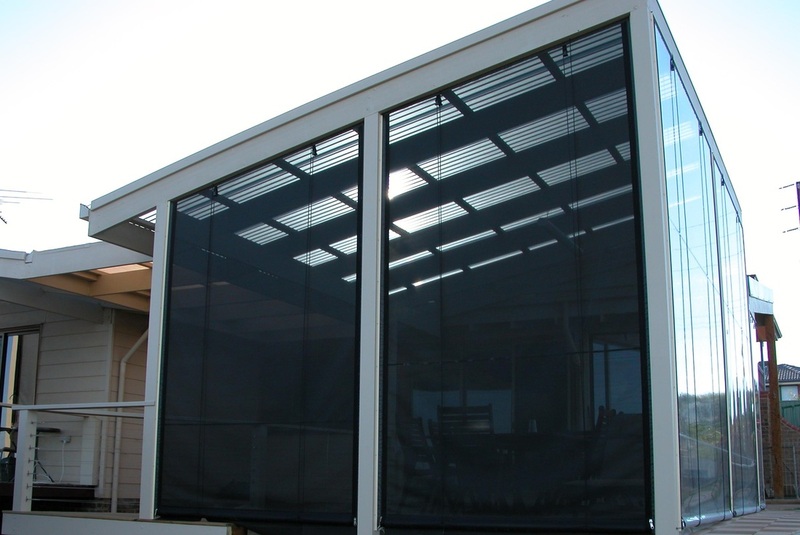 Featuring high quality materials, and a wide choice of fabrics including popular clear and tinted PVC, and various shade mesh solutions, Café style outdoor blinds can provide shelter from the elements, UV protection and will complement any outdoor entertaining area. 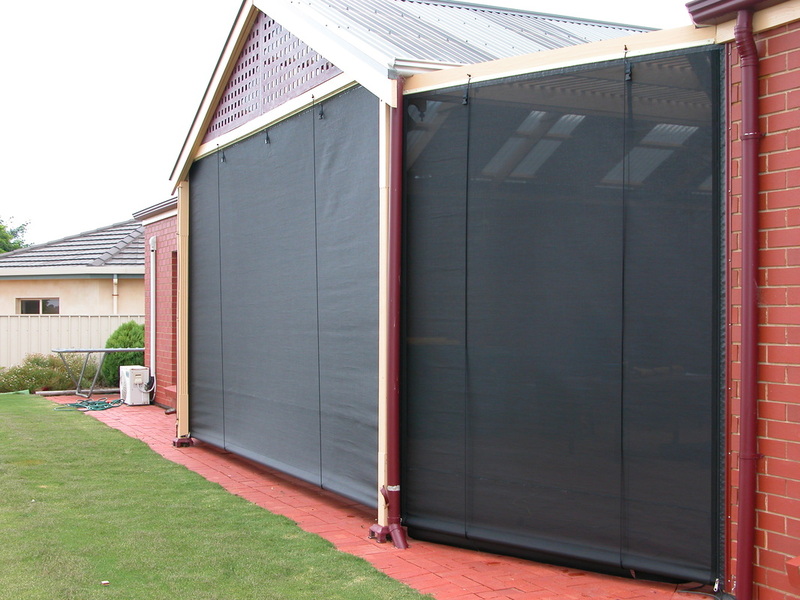 Pinz Café blinds are manufactured in a state of the art facility using the most up to date techniques and provide a great looking cost effective solution to turn your outdoor area into an all weather room. Cafe blinds allow many options for unusual applications and modifications..
Pinz is able to customise our cafe blinds to fit pitched or rounded roofs, gable ends, obstructions and fixed panels. Doorways and uneven ground are not a problem. High quality aluminium sail tracking is available in a wide choice of colours or can be powder coated to match your structure. The side spline - or kedar - is also able to be customised to match your fabric or your structure.